This great piece of furniture is brought to you straight from Italy. The side chair is constructed of high quality hardwood and given a clear black finish. 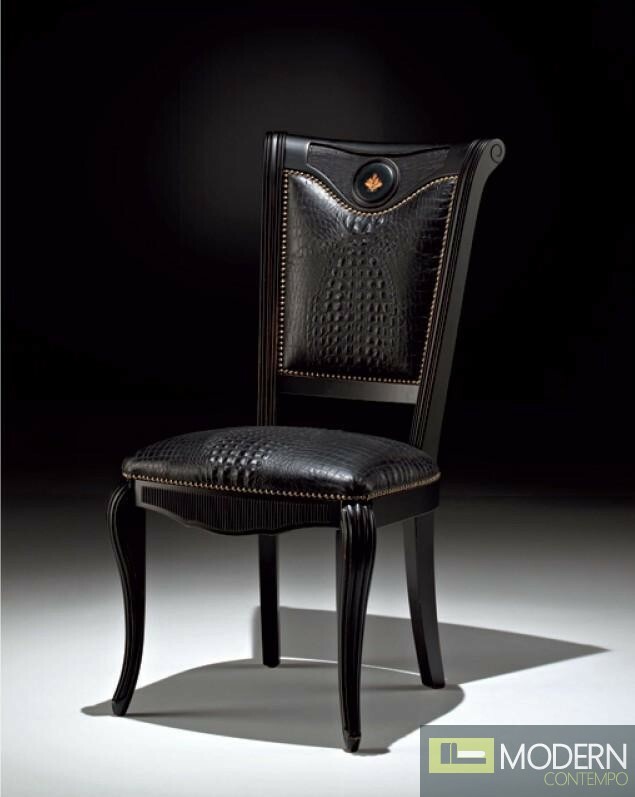 The seat is upholstered in comfortable, black leather which has a laser-etched crocodile design.